While many of the programs in this homeschool programs section of the site are suitable for children with some disabilities, these programs go out of their way to provide full programs and support for disabled children. Why do we call these students 3D Learners? We have found this empowering label enables these talented individuals to make dramatic improvements if they are taught to their strengths. These students are often labeled Dyslexic, ADD, ADHD, Attention Deficit Disorder, SLD, Specific Learning Disability, Dysgraphic or Learning Disabled. Homeschooling the special needs child takes a great deal of patience and determination, but most of all – love. Parents of special needs children typically are needed constantly, and even in the best situations that can be draining. It’s important for parents to find ways to connect with other parents and to fill their cup each day before they can pour themselves into homeschooling their differently abled child. An accredited program that offers over 90 distance education courses to eligible students completely free of charge. 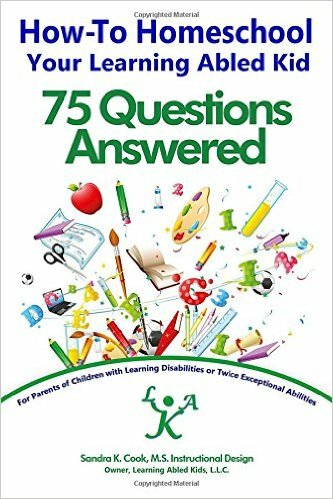 Packed with inspiring ideas and tips that can be used with any curriculum and on any budget, Homeschooling the Child with Asperger Syndrome explains how to design a varied study programme built around the child’s own interests, making use of simple material as well as computers and online resources. 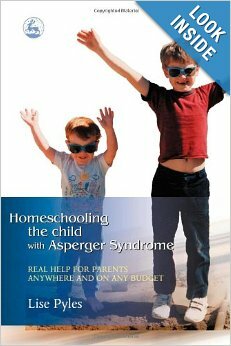 Parents planning to homeschool their child with Asperger Syndrome will appreciate Lise Pyles’ encouraging and practical advice, including step-by-step instructions on how to assess and improve body language and social skills, accommodating the child’s need for ritual or perfectionist tendencies, and how to develop handwriting and coordination skills.